The hermit crab is complete! Modeled in Maya, textured in Mudbox, rendered with MentalRay. 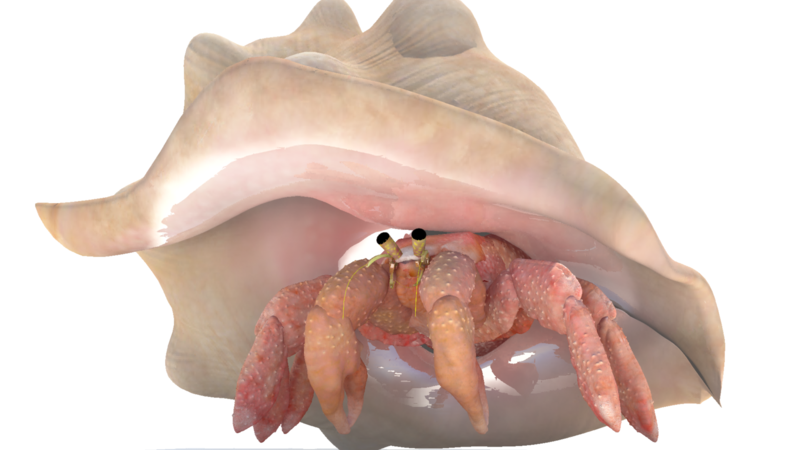 I’m perfectly aware that no hermit crab would ever actually live in a conch shell that large, but I thought the image of a small crab in a huge shell was amusing. I actually still want to change some things. 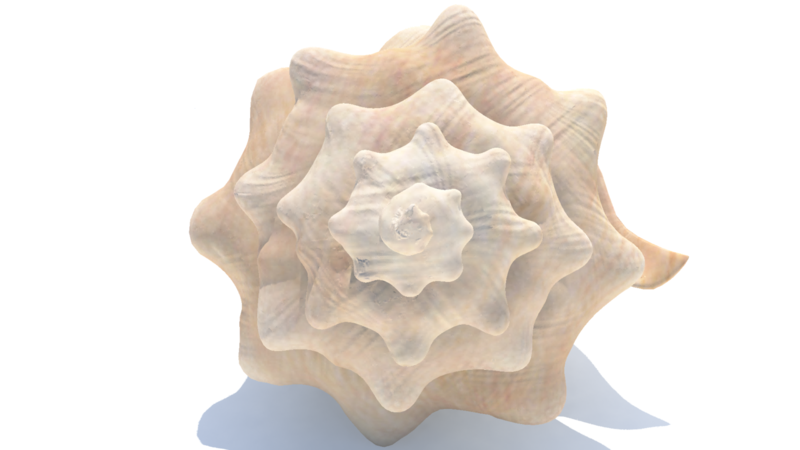 If I have time, I’m going to go back and change the displacement mapping on the conch to get the groves to all go in a more uniform direction. Also 9 seconds into the turntable, you might notice there’s a slight shiny spot on the conch. That’s a mistake I made in the specular map that I definitely want to fix. I also want to try placing some small low intensity lights really close to the crab’s eyes to bring out the gloss that’s visible in the Mark I crab. In the Mark II crab, the shadow from the flaring part of the conch makes the crab’s eyes look matte. The crab’s claws need some color tweaking as well; the color doesn’t quite perfectly match the rest of the crab. The DMD director, Amy Calhoun, told me that no modeler is ever satisfied with a model. So true.